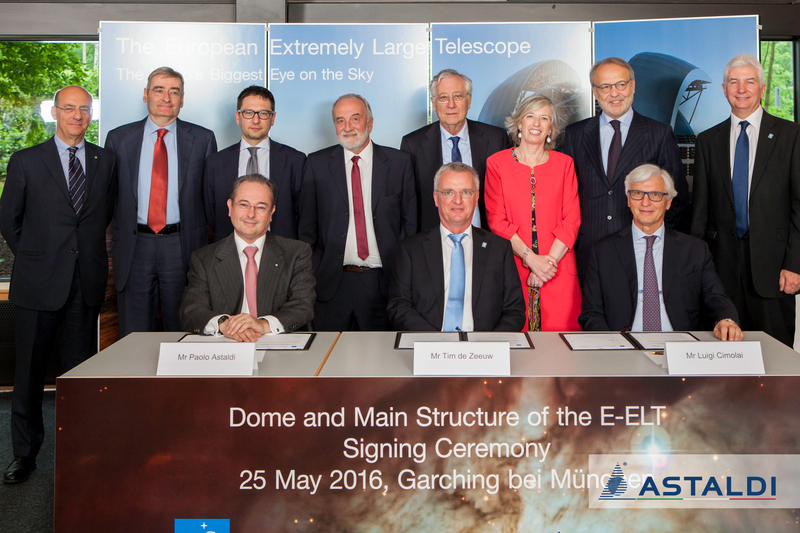 The contract signing ceremony was held in Munich today for the design and development of the Dome and of the Main Structure of the E-ELT (European Extremely Large Telescope) to be built in Cerro Armazones, in Chile. Last February, the ACe Consortium, consisting of Astaldi (60%, lead company) and Cimolai (40%), with the EIE Group, was the Winning Bidder in the tender process initiated by the ESO (European Southern Observatory), and the contract signed today is the necessary final step towards starting up the development phase. The value of the works equals approximately EUR 400 million (with Astaldi’s share amounting to 60%).